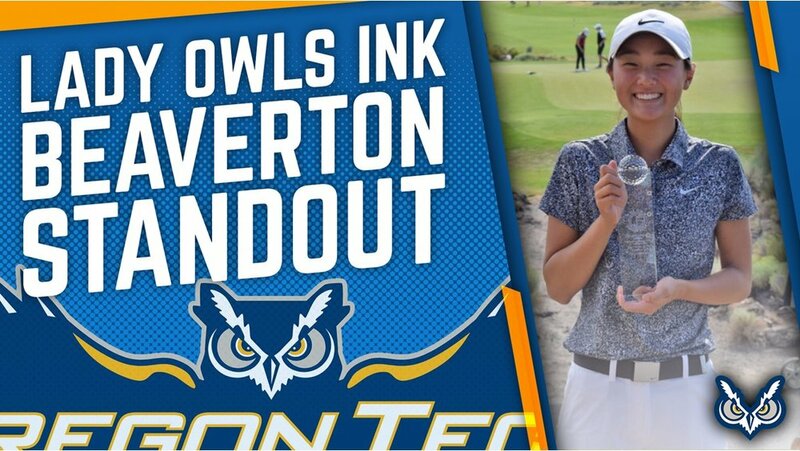 KLAMATH FALLS, Ore. – Head Golf Coach Jeff Corkill has announced the signing of Aerin Song of Beaverton, Oregon to play for the Lady Owls starting in the fall. Song is currently entering her fourth year as a varsity golfer at Southridge High School. Last year she led the Skyhawks to the 2017 Class 6A Girls State Championships at Emerald Valley Golf Club. As a junior, Song was nominated as her Team Captain, finished with a league score of 79, and qualified for the state tournament with a 77 score at the Regional Tournament. She won three of the six major Oregon Golf Tournaments with a low round of 76 this past season. "It is my pleasure to welcome Aerin into the Oregon Tech family," said Corkill. "Aerin is fast developing into one of the top players in Oregon Junior golf. Aerin is a long hitter that we project to do some great things at Oregon Tech. She comes to us from a very competitive high school league and team. We are excited to see Aerin develop into a special player. She is another young lady that has proven herself in the classroom." Song in the daughter of Ingi and Kim Song and will be a Rad Science Major at Oregon Tech in the Fall.